From time to time we all face some kind of stress in our lives. 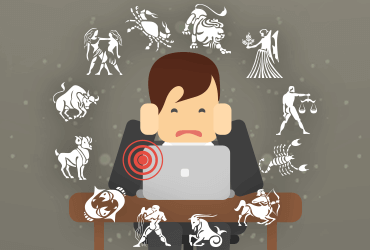 Every zodiac sign has a different stress trigger and has a particular way of coping up with that stress. By knowing what causes stress to your particular zodiac sign, can help you to understand the ways you can get relieved from stress. Aries always work according to themselves. When they feel stressed, they end up doing such things which they always desired to do but have never done. No matter whether to join a class or go for skydiving, they just accomplish their hidden desire and passion. Aries pride themselves on their achievements. Moreover, Aries is more of an adventurous personality. So, to calm themselves down, they involve themselves in adventurous things. These people are ruled by Venus and believe in showing off their money. When they feel stressed, they find comfort in showing off their money and success to their friends. As per their traits, they like to feel needed and strong. They find happiness by helping other people and providing them what they need. Symbolized by the Twins, these people tend to have continuous fights with their combating personalities. They love spending time with new people but also prefer isolation. When they feel stressed, they usually like to spend time with new people and do something adventurous rather than going for routine tasks. Cancer are the most sensitive one who loves spending time with their family and friends. At the time of stress, they always prefer communicating with their loved ones, family, partner or friends. They are also called as homebodies, who in stress, crave for tasty and delicious home-cooked meal. They also relieve their stress by accessing social sites and connecting with friends. Leos are the one who thrives for pride and ego. These people never take their weaknesses casually. When they are stressed in their lives, then they try to make a balance by compensating in various other areas. If they are stressed because of their relationship then they focus their mind on achieving new goals and reaching new heights in their professional life. Praises and admiration are the biggest stress-relievers for Leos. Virgos usually over the plan, over analyze and overthink. They are the ones who are most strategic in nature. When Virgos are stressed out they tend to make a list or do some organizational activity in order to relax their mind. They usually analyze both the negative and positive aspects of a certain situation to diminish their stress. They try to make a strategic plan so that they can be busy in its implementation and forget about their stress. Libra loves beauty. When they feel stressed, they get attracted towards things which make them look and feel beautiful. Because of their indecisive nature, they end up spending extravagantly. To feel relaxed and free from the stress they just need that people should value and love them. Libras are the happiest when they look attractive. So, to relieve their stress, they just swipe their cards and look amazing. Scorpios are the sexiest among all the zodiac signs. Extremely passionate and intense, they tend to overthink things. When they are stressed, they want attention and praises. To relieve their stress they hang out with their loved ones and live their life at fullest. When the Sagittarius are in stress, nothing can make their mind and mood better than going on a vacation. A little holiday is enough for the Sagittarius to get out of their problems. They like overcoming their stress from traveling. They do not plan anything and make a random plan when they are stressed. They explore new avenues and places to get over the conflicts of their mind. Capricorns are the one who can efficiently balance work and fun. They are a bit pessimistic and tend to overthink, so, they are in stress almost all the time. Because of their extreme intelligence, they feel more stressed in comparison with other zodiacs. Their mantra for getting relieved from stress ‘ignorance’. They believe that ignorance is bliss and practice the same every now and then. Aquarius are of mysterious and distant nature. When they feel stressed, they just disconnect themselves from others and the social world. They try to spend time with themselves and come back and connect with everyone when everything is resolved. Pisces are beautiful and artistic in nature. When they feel stressed, they find a creative route to get past it. There are the number of ways by which they get relieved from their stress such as painting, poetry, songwriting, dancing or singing. 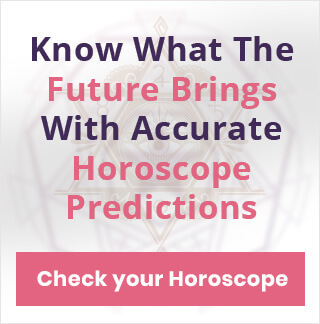 Know more about each Zodiac sign and get accurate horoscope predictions on Horoscopelogy. 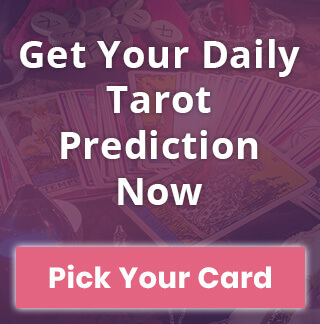 Know your Daily Horoscope according to your Zodiac sign now!